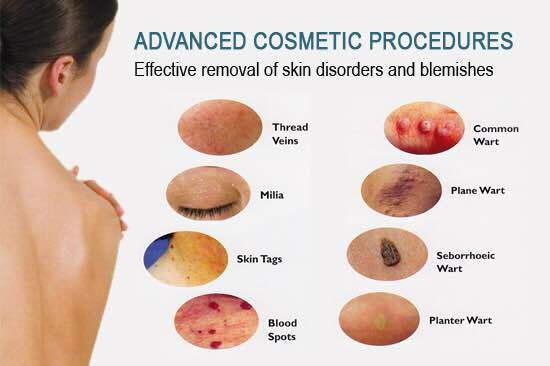 Advanced Cosmetic Procedures (ACP) using electrolysis is suitable for a wide diversity of skin blemishes that can be quickly and easily treated with immediate and effective results offering an eventual blemish free smooth skin. We can successfully treat; Milia, Spider Naevus, Cambell De Morgan (Blood Spots), Skin Tags and Telangiectasia (Facial Thread Veins). ACP treatments are safe and effective and offer instantaneous results in many cases. Length of treatment very much depends on the problem and your skin specialist will advise you of this although it is difficult to state a definitive time. The area worked on must not be over-treated and your skin reactivity will be taken into account. Spacing technique and treatment intervals will be carefully considered in a treatment plan by the professional as well as taking into account your requirements, needs and wishes. Treatment prices upon request please contact the salon.